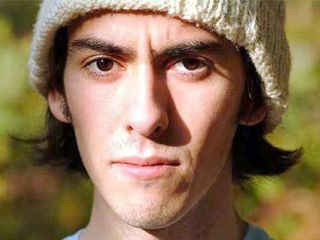 Dhani Harrison is well aware of the effect he has on people, and he's cool with it. "People see my face, they hear my voice, and I know they're thinking about my father. That's OK - he was a great man." But while the 30-year-old son of the late ex-Beatle George Harrison is following in his father's footsteps as a musician - he's just released his first album, You Are Here, with his band thenewno2 (a partnership between Harrison and his friend Oliver "Oli" Hecks, though the lineup has expanded to the full band recently) - he's also making his own way in the world, and has been for some time. "I studied physics and design at Brown University, which surprises me at how that always surprises people," he says with a laugh. "People naturally assume that the son of a rich, famous person spends his days hanging out and nights going to parties. I've always been a worker - like my dad." Dhani has been putting his work ethic and his passion for design and computers to good use, working with the folks at Harmonix on the hotly anticipated The Beatles: Rock Band game. "It's been one of my biggest joys to be involved with a company as great as Harmonix," Harrison says. "And I'm not hyping in the least when I say The Beatles: Rock Band is going to blow people's minds. It's going to set a new standard for video games. I absolutely love it and can't wait for music fans and gamers to get their hands on it." While they're waiting for the game, which will be released on 9 September, music fans might also want to lay their hands on You Are Here, thenewno2's gorgeous blend of dark and dreamy pop, driven by heavy, psychedelic guitars and ambient, textural loops. "It's not The Beatles," says Harrison says, "but I think it's impossible for anybody to escape their influence, least of all me." While rehearsing with thenewno2 for a summer tour ("we playing Lollapalooza, I'm so psyched! "), Dhani Harrison took some time out to chat with MusicRadar. In the podcast below, he talks about assembling his band and cutting You Are Here, some of his father's guitars which wound up on the album and, of course, The Beatles: Rock Band.